A South Carolina sheriff says when a man who may have committed as many as 90 homicides recently confessed to a killing he first investigated as a rookie 40 years ago, it gave him a little peace of mind. COLUMBIA, S.C. (AP) — When Texas Rangers called Richland County Sheriff Leon Lott to let him know one of their prisoners had confessed to shooting a woman in the head 40 years ago in his county, Lott knew immediately what case they were talking about. Back then, the sheriff was finishing his first year as an investigator. He examined 19-year-old Evelyn Weston’s body that muggy night in September 1978, noting she had been shot in the head. Then he went to work to find her killer, a search that went on unsuccessfully for four decades. “I’m not going to say they haunt you. But they’re always in the back of your mind,” Lott said of the violent cases he hasn’t solved in his county of 410,000 people, which he first started patrolling in 1975. 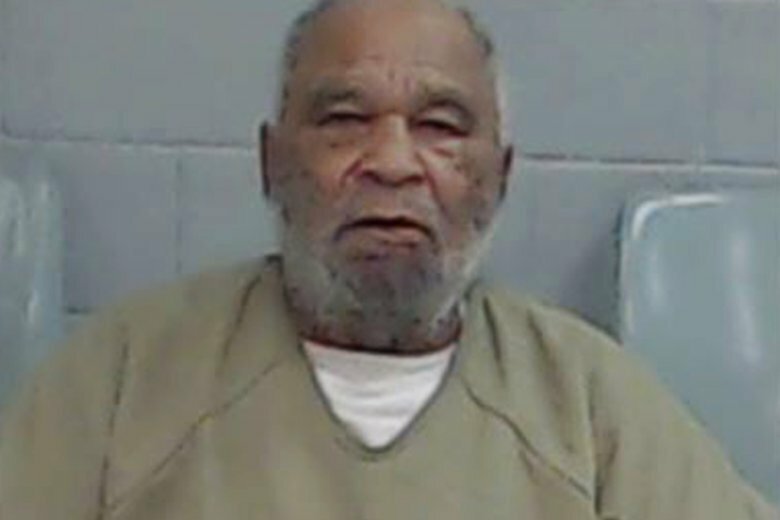 Samuel Little, 79, began confessing to crimes across the country, telling investigators he may have killed as many as 90 people, after he lost an appeal to the life sentences he is serving for strangling three women in California. All across the U.S., authorities are getting calls from a Texas Ranger who developed a rapport with Little while investigating a cold case, giving details about long-ago killings that were never released publicly, Lott said. Weston’s death matches Little’s pattern of roaming the country, preying on drug addicts and troubled women, often near military bases, Lott said. Little, a former boxer, would punch the victims until they were unconscious, strangle them, dump the bodies and leave town, detectives in Texas said. Weston was found naked on a dirt road just off Interstate 20, according to newspaper accounts at the time. Lott said he didn’t want to share any additional details about the death until investigators firm up the link between Little and Weston. He said they are looking to see if any DNA can be found on saved evidence. Genetic evidence didn’t become vital to investigators for another decade after Weston’s death. Lott’s hand-written notes from 40 years ago, saved in the case file, show other ways policing has changed. After checking the body in 1978, Lott got in his car and drove to measure the 9 miles (14 kilometers) from where Weston’s body was found to the restaurant and bar where she was last seen, driving a steady 45 to 50 mph and pacing with his watch to determine how long it might have taken the killer. Today, that information would pop up instantaneously through GPS and a mapping program. The sheriff, now 65, said he kept all the evidence he gathered in the first hours after the slaying, and he is proud to be able to show his deputies how it could help resolve the case so long afterward. “Now all those years later we can go back and match things up,” Lott said. One other memory came back to Lott after the phone call about Weston. It was one of the first homicides he caught as an investigator. He found the body of 14-year-old Carlotta Hartness in October 1977 in almost the same place. He testified the teen had been shot in the head, she was lying on top of her clothes, and it was obvious she had been sexually abused. A man at the scene testified Hartness begged for her life after she was attacked. The man convicted of killing her was executed. “These things you never forget,” Lott said. The headline of this story has been edited to clarify that Little told investigators he may have committed as many as 90 homicides.